At Beverly Hills Hair Group, we fully understand that as you explore your hair transplant options, you are also considering the cost. Hair transplantation is undoubtedly an important investment. However, we work hard to ensure it is an investment that will provide an invaluable return. Patients who choose our Follicular Unit Transfer (FUT) or NeoGraft Hair Transplant system leave with a permanent solution to a hair loss condition that often has emotional, social and professional consequences. Beverly Hills Hair Group proudly helps both men and women understand the profound benefits of choosing our advanced hair restoration procedures, including the newfound confidence that they can gain from their investment. Whether you choose FUT or NeoGraft’s automated FUE technique, you can trust that your hair transplantation will be performed by a highly skilled and experienced plastic surgeon. 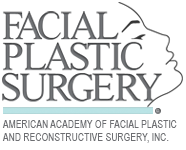 Dr. Ben Talei is double board certified and dual fellowship trained in facial plastic surgery. He is dedicated to delivering state-of-the-art solutions for hair loss using safe and comfortable methods. How much do hair implants cost? The cost of your procedure is an important consideration that our clinic staff will gladly discuss with you. It varies from patient to patient depending on the specific hair transplant method you choose and the number of grafts needed to address your concerns. Dr. Talei can offer an accurate cost estimate after evaluating your donor hair volume and type as well as calculating how many grafts it will take to restore your hair to its most natural and full appearance. Our facility does offer both Follicular Unit Extraction and Follicular Unit Transfer, which tend to carry a cost difference that must be weighed against the advantages of each. The FUE method using NeoGraft is often more expensive due to the individual follicular unit removal. However, patients who choose the FUE method over FUT benefit from a more comfortable procedure and recovery and do not have linear scarring. For these reasons, the extra investment in NeoGraft is often outweighed by its benefits. A permanent hair transplant procedure can range from $4000 to $20,000 in cost, but this depends on your personal needs and goals. Regardless of the hair transplant procedure you choose or how much hair you want to restore, we always work to address your concerns with respectful adherence to your budget. In addition, Beverly Hills Hair Group also offers flexible payment plans and financing options to help you afford your desire to have a healthy, full head of hair once again. 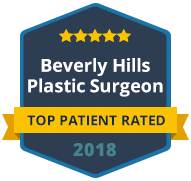 Contact our clinic today to schedule a consultation with Dr. Ben Talei so that we can give you an accurate estimate on your hair implants cost in Beverly Hills.